Multi Shadow Company Wants You!! That is the motto we have lived by for nearly a decade, hundreds of us taking those five words to heart. To unite and reach out from beyond the shadows in one signified movement to bring the gaming community as we know it together for one common goal; Teamwork. We don’t look for fame, nor do we care about the glory, we look to build on teamwork, to strengthen our bonds with our squad members to achieve the win. We have fought across many fields and we have lost many battles, yet those losses have helped shape us, and mold us into what we are today. We don’t look at is as defeat, we look at it as a learning opportunity. Yes, losing is inevitable, but it’s how you handle the loss that differentiates you from everyone else. 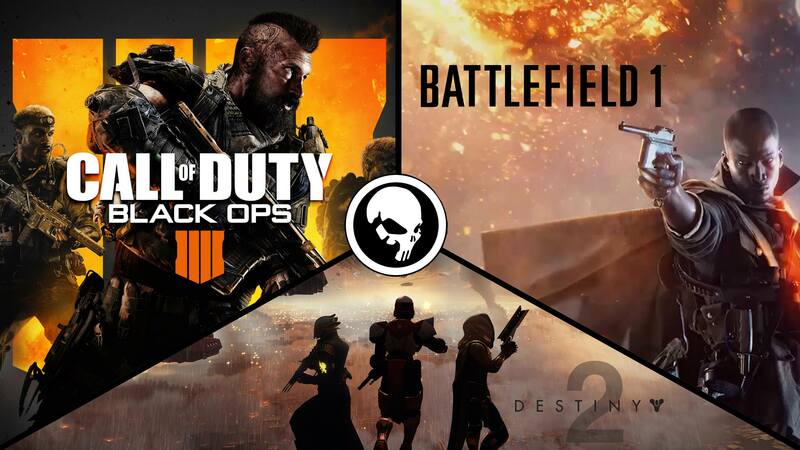 Shadow Company was founded in October of 2008 by a small group of gamers with one simple goal in mind; to build a community for like minded, mature gamers. Today, we are keeping that goal alive by focusing on the teamwork portion of gaming. Members are placed into “Squads”, and together with their teammates they work together on tactics, strategies, communication, call-outs, and most of all how to use all of these skills together to best the enemy on the battlefield. We may not always win, but the best feeling in the world is knowing that your team had your back through and through. Shadow Company has a basic military structure; Squads, Regiments, Divisions, right down to the Ranks and Medals. When you first join Shadow Company you will undergo an Introductory period that brings you up to speed on a majority of the Rules and Regulations that everyone in SC must follow. From there you will be placed into a Structured Squad where you will start working on your team building skills with your other squad members. It’s easy to get kills, but to have a group of players on the same team come together and act as a single cohesive unit, you can not only get the kills, but you can get the win too. Of course, we don’t limit ourselves to just squads. Shadow Company offers many positions within our community to members willing to volunteer their time to take on these extra tasks. From Recruiters to Graphic Artists, SC offers many positions for our members to fill. Keep in mind, some of these positions require quite a bit more dedicated time than others, but the end result is always the same for each and every position; the success of Shadow Company. You must be able to use Discord to attend Introductory meetings. Though this sounds like all you will be doing is squad based practices, that is far from the truth. Yes, when you sign up to be a member you are volunteering your time to help make Shadow Company a better place, but Shadow Company is more then that. We hold regular squad v. squad scrimmages, inter-clan tournaments, community nights, community contests, an Top 5 Clips series via YouTube and much much more. There is always some sort of activity going on in SC, and we invite you to join in on the fun. Shadow Company puts family first, so what does that mean exactly? That means just as it sounds; life happens. If you can’t make a practice or will be out for a while with some family or real-life issues then just let us know. We will not penalize you for the uncontrollable nor will we boot you to the curb because you cannot make a few practices. Simply inform us that you need to step away, and we will make it possible for you to step away and return to full duty when things are sorted out. If you are interested in joining Shadow Company, visit our website www.theschq.com and register with us today. A member of our Admissions Team will be in touch with you afterwards and begin the process of bringing you into Shadow Company. When signing up, please tell them Kakashi897 sent you! From the Shadow Company Chain of Command, normal operations have resumed and that means we are once again recruiting at our normal capacity. We have quite a few openings across the boards that need to be filled and you are all invited to join up! No need to worry about skill or KDR, Shadow Company looks the other way when it comes to ones performance in game. We strive to make each and every one of our members better during our weekly practices and drills. Please ensure we support your region before you register! Visit www.theschq.com to take a tour of our headquarters and join today! Also, for those interested we host our own Weekly Top 5, here is our most recent Top 5! Shadow Company HQ is over 10 years old and has been an active clan on Call of Duty. There are 3 levels of commitment Casual, Structured, and Competitive. We meet 3+ times a week to assign fire teams and work on tactics. The clan is set up in a military format where you earn rank by attending squad practice. Please register on our site, from there you will be scheduled an orientation and boot camp training before deploying to your squad. Shadow Company is looking to fill a few Graphic Artist vacancies for our Web Team, must have experience and provide examples of past work. To inquire, please indicate in the "How Did You Find Us?" field on the registration page you are interested in the 'Graphic Artist' position! Are you playing an objective based game, but the rest of your team doesn't seem concerned about completing the objective. Here at Shadow Company we work together as one to complete the goal. With over 80 like minded players, we support multiple platforms and multiple games, the goal is always within reach. We play under a para-military structure, but with a "friends first mentality." Make new friends, increase your K/D and win percentage, and above all join the fun. Check out theschq.com today for more details. Members must have a working mic.